"There's something more realistic about it," explains Isabel Marant of the menswear influence which often dominates her collections. 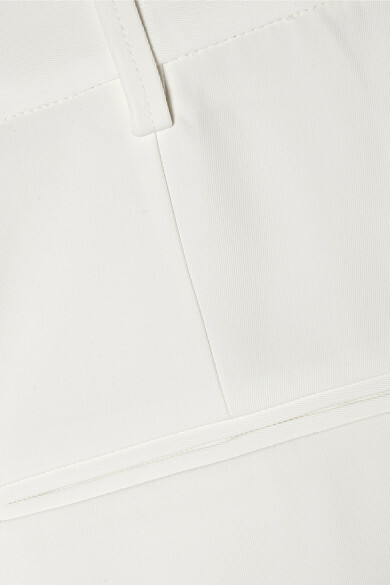 These 'Poyd' pants are made from smooth white crepe and cut to sit flatteringly high on your waist. They're pressed though the legs and are particularly long in length. 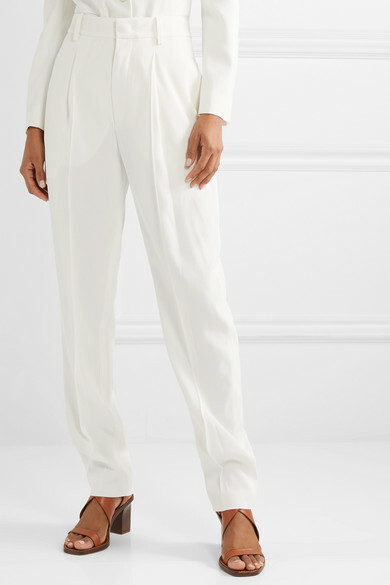 Wear yours with the matching blazer and heels. Shown here with: Loewe Shoulder bag, Chloé Sandals, Isabel Marant Earrings, Alighieri Necklace.